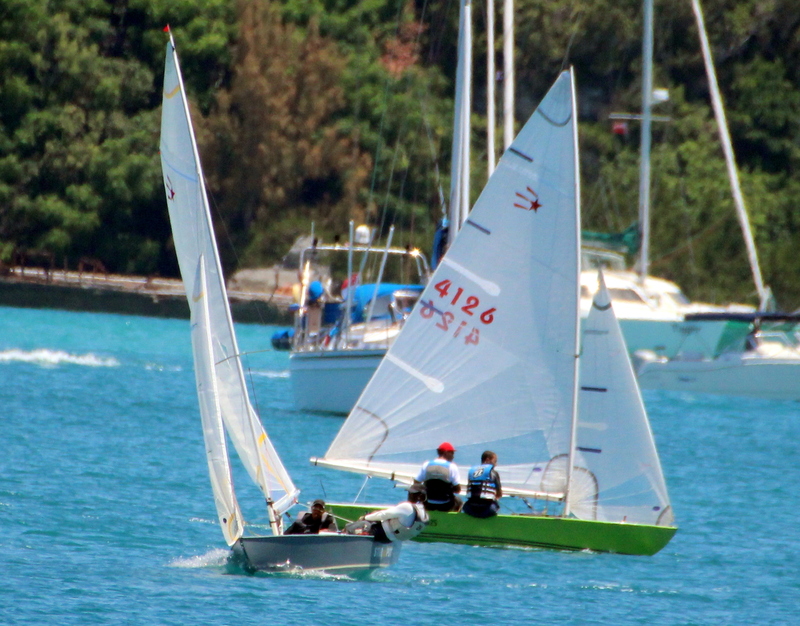 Gladwin Lambert and Stefan Maybury sailed Melody to victory in the Mid Atlantic Sailboat Clubs Long Distance Race. The Mid Atlantic Sailboat Club Long Distance race saw sailors and crew leave the club head west into Hamilton Harbor around White’s Island and back to the Club. It took Lambert and Maybury three hours and fifty-eight minutes to complete in the light and shifty conditions. Dale Brangman and Tajahri Rodgers in Shaka Zulu finished second, while Quinton Simons and Gregory Proctor sailing Stir de Pot was third and Zaniko Hendrickson and his crew Randolph Joynes in Radical finished 4th.